Question: What is Rockvale Writers’ Colony? Question: When is RWC open? Answer: We are open year round. Closings for repairs or construction occur at the discretion of the director and will always be communicated well in advance. Question: Who is eligible to attend Rockvale Writers’ Colony? Answer: Any writer of any genre, age 21 and up, who is actively working on a writing project. Question: How do I apply? If accepted once, do I have to pay another application fee if I want to come back? Answer: Apply by clicking on the Application Page and carefully following all directions included there. There is an application fee of $35.00. If you are a previously accepted writer and it has been 12 months or more from your first application, you may apply under the “Returning Residents” tab and pay the application fee of $25.00. If you return for residency at RWC within 12 months of a previous residency, no application or application fee is required but you will need to email the director at sandy.rockvale@gmail.com to discuss dates and availability. Question: How much does it cost to attend RWC? Answer: RWC charges a highly subsidized rate of $350 per week – that’s for 6 nights, 7 days. The non-refundable application fee is $35.00. The mandatory room cleaning fee is $25.00. Shuttle fees to and from the Nashville International Airport are $40.00 each way and must be arranged in advance. After the initial deposit of $100.00, which is paid upon acceptance, the remaining balance must be paid before arrival at the colony. Applicable sales tax of 9.75% and occupancy tax of 4% also apply. Answer: We are in the process of establishing a fellowship and scholarship fund to assist writers with the cost of attending a residency. Presently, as a brand new non-profit organization, we rely on the generosity of donors to build that fund. If you have the financial ability to donate to our scholarship fund, please know your generosity will be highly appreciated and you will be giving another writer the chance to change the world with words. We love that. Question: How long can I stay? Answer: Writers can stay at the colony from 1 to 4 weeks. Writers who wish to stay at the colony for less than 1 week may be accommodated if space is available. Stays of one, two, or three nights are charged at the regular daily rate of $100.00 with no application necessary. Residencies of 1 week or greater are given preference. Question: Can I bring my partner, child, and/or pet with me? How about having visitors while I’m a resident? Answer: No. RWC is designed for individuals working on a specific writing project. No visitors are allowed at RWC. You are encouraged to meet friends in any of the towns or cities that surround the colony – College Grove, Chapel Hill, Spring Hill, Franklin, and/or Nashville. Question: How about 2 writers collaborating on one project? Answer: Both writers need to apply separately and be accepted separately. Separate payments of fees will be required. We also ask that if the collaboration requires conversation, that the quiet hours of the colony are respected and all talking be done out of the hearing range of the other writers. Question: Do I need a car? If I arrive by plane, how do I get to the colony? Answer: A car will come in handy, as we are located in a rural area and the nearest stores are about 20 minutes away. But we try our best to accommodate our writers’ needs and offer periodic group trips to the grocery or other stores. Often, carpooling to shopping areas with other writers is possible. The colony is about 45 minutes to an hour south of Nashville International Airport. If you fly, we offer a shuttle service for a fee of $40.00 (each way). This must be pre-arranged. Rental cars are available at the airport. Taxis and Uber are also available but the fares can be high. Question: Do you have internet and how is the cell phone coverage? Is there a landline I can use? Answer: Our internet service is terrific but we ask writers to reserve it for research, email, and uses related to their writing project. There should absolutely be NO streaming of videos, music, or downloads of large files as this slows our service considerably. Cell phones typically do not get good reception at the colony. We do have a landline and you are welcome to use it to make local calls only. We do not have free long distance calling. Question: Are meals provided? Are there RWC receptions with food available? Answer: Writers are responsible for supplying their own food, preparing their own meals, and cleaning up after themselves. We have spices, oils, condiments, coffee, and tea available for everyone to share. We have a large kitchen which can be used 24/7 and writers have access to pantry and refrigerator space for their supplies. Every Monday at 6:00 p.m., we provide a community dinner for all residents. We highly encourage residents to attend in order to foster community and share their writing projects with each other. Question: How is the day structured? Are there quiet hours? Answer: Every writer is free to structure their day as they wish; however, working hours of 7:00 a.m. to 5:00 p.m. are strictly enforced quiet times. Also, we ask writers to respect the needs of other writers and restrict noise after 10:00 p.m. Music should be played using headphones or earbuds. We suggest you prearrange a visit with another writer rather than simply knocking on their door. If you wish to chat within quiet hours, there is ample outdoor space to do so. Question: What about accessibility? Is the colony wheelchair accessible? Answer: There is a ramp at the front of the farmhouse and all bedrooms in the farmhouse are located on the ground floor. Writers with special needs should discuss this with the director in depth before their residency begins. Question: What should I bring with me? Do you have a computer and printer I can use? Answer: We provide bedding and towels, paper products, basic kitchen supplies, a comfortable environment, and lots of creative inspiration. You should bring everything else! We do not have a computer available for resident use, so bring your laptop. We have a printer in the office, but we request you either bring your own paper or you reimburse us for your paper usage. We have a limited selection of reference books that are available for use. These are in the bookcases in the library. Question: Can I use the swimming pool, tennis court, and whirlpool spa? How about hiking on the trails? Answer: Absolutely! Our pool/whirlpool hours are sunrise to 10:00 p.m. Please note the use of these facilities is at your own risk. There is no lifeguard on duty. We suggest you wear appropriate shoes if you hike and use bug repellent. Like all rural outdoor areas, we have mosquitoes and ticks. Question: I care about the environment. Is RWC eco-friendly? Answer: We care about the environment too, and believe in the “Reduce, Reuse, Recycle” philosophy. We provide recycling receptacles for our residents and encourage conservation of water and electricity. Question: What should I do if I feel stuck and can’t write? Answer: We’re glad you asked. It is not unusual for writers to need a couple of days to settle into a residency. Our busy lifestyles at home take a toll on our ability to relax and new settings always require a period of time in which to feel comfortable. Our advice is not to fret or feel pressure to produce work during your first couple of days. Breathe and let the serenity of the colony find you wherever you are in your creative journey. Don’t push against the barriers which time will eventually dissolve for you. Be patient. We’ve provided several alternative activities and exercises on the shelves of “The Un-Bookcase” (Unleash, Unlock, Unplug, Unblock) in the Dining Room. Explore the ones that interest you. Don’t forget that walking and enjoying nature can do wonders for stress and anxiety. We’re confident that if you open yourself to the possibilities and meet your creative heart however and whenever it presents itself, you will find the words you need. Come talk to us if you need a little decompressing or encouragement. That’s what we’re here for. Question: What is your smoking and alcohol policy? Answer: Smoking and vaping are prohibited on our property. Drinking alcohol is a matter of personal choice, but we ask that you exercise moderation and be thoughtful of others. 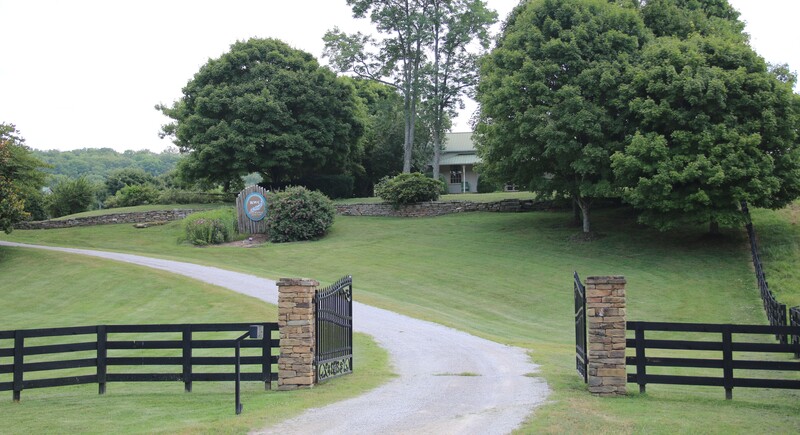 This goes without saying but we’ll say it anyway: any use of drugs prohibited by Federal or State of Tennessee law is prohibited by Rockvale Writers’ Colony. The director reserves the right to end a residency at any time deemed necessary in order to protect the property of RWC or the well-being of other residents. No reimbursement of fees will occur. We expect all writers to be respectful, considerate, and law-abiding.